Hotel inventory is constantly changing and availability is not guaranteed at any of the listed hotels. For your convenience, you can click below to view a map of the hotels. The map details hotel cost and distance to the convention center. Most hotels are within walking distance to the Colorado Convention Center, however shuttle service is offered to select NAA-official hotels*. *NAA has solely partnered with Spargo, Inc. as the official hotel vendor for 2019 Apartmentalize and we do not endorse or have a relationship with any other housing companies. 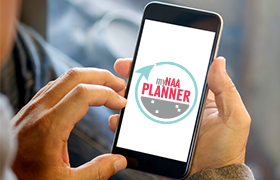 In the past, NAA has experienced other companies soliciting NAA attendees and posing as representatives by NAA offering special discounted hotel rates. NAA and Spargo, Inc. do not solicit conference attendees directly by telephone for hotel bookings, nor do we request credit cards over the phone for room reservations. NAA is not responsible for any housing reservations made through any other provider than the official provider, Spargo, Inc. If you believe you have been contacted by someone from a company posting as an official NAA Housing Representative, please contact Elizabeth Ambacher, Vice President, Meetings & Expositions. If you have made hotel reservations and provided a credit card number to a company other than Spargo, Inc., please call your credit card company immediately and request any charges to be reversed. Click here to learn more about getting to the Convention Center. Learn more about our host city!